The IRS has extended the due dates for furnishing 2016 Forms 1095-B and 1095-C to covered individuals and full-time employees, respectively, from January 31, 2017, to March 2, 2017. In addition, the IRS is also extending good faith penalty relief to reporting entities who can show they made good faith efforts to comply with the calendar year 2016 information reporting requirements. 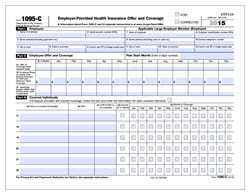 Applicable large employers (generally those with 50 or more full-time employees, including full-time equivalents or FTEs) must use Forms 1094-C and 1095-C to report information to the IRS and to their full-time employees about their compliance with the employer shared responsibility provisions (“pay or play”) and the health care coverage they have offered in a calendar year. Alternatively, Forms 1094-B and 1095-Bare used by insurers, self-insuring employers, and other parties that provide minimum essential health coverage (regardless of size, except for large self-insuring employers) to report information on this coverage to the IRS and to covered individuals. 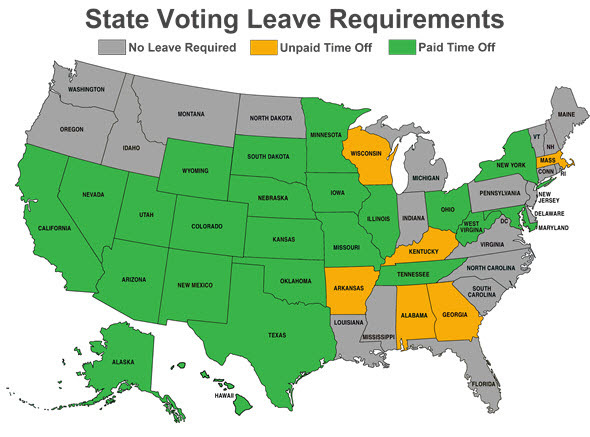 Employers subject to both reporting provisions (generally self-insured employers with 50 or more full-time employees, including FTEs) will satisfy their reporting obligations using Forms 1094-C and 1095-C. Note: Reporting entities are required to report in early 2017 for coverage offered (or not offered) in calendar year 2016. The IRS has extended the due dates for furnishing 2016 Forms 1095-B and 1095-C to covered individuals and full-time employees, respectively, from January 31, 2017, to March 2, 2017. However, the deadline to file 2016 Forms 1094-B, 1095-B, 1094-C, and 1095-C with the IRS was not extended, and remains February 28, 2017 (or March 31, 2017, if filing electronically). Internal Revenue Code sections 6721 and 6722 impose penalties for failing to file and furnish an accurate and complete information return, including Forms 1094 and 1095. However, the IRS is extending penalty relief to reporting entities that can show that they made good faith efforts to comply with the calendar year 2016 information reporting requirements. This relief applies to missing and inaccurate taxpayer identification numbers and dates of birth, as well as other information required on the return or statement. In determining good faith, the IRS will take into account whether an employer made reasonable efforts to prepare for reporting the required information to the IRS and furnishing it to employees and covered individuals, such as gathering and transmitting the necessary data to an agent to prepare the data for submission to the IRS, or testing its ability to transmit information to the IRS. In addition, the IRS will take into account the extent to which the employer is taking steps to ensure that it will be able to comply with the reporting requirements for calendar year 2017. The extensions for furnishing Forms 1095-B and 1095-C apply to calendar year 2016 reporting only and have no effect on the requirements for other years or on the effective dates or application of the pay or play provisions. Specifically, the IRS does not anticipate extending due dates or good faith penalty relief to reporting for calendar year 2017. Be sure to visit our Health Care Reform section to stay on top of the latest Affordable Care Act updates. The Internal Revenue Service (IRS) has released the final forms and instructions for Forms 1094 and 1095 for calendar year 2016 reporting. Employers are required to report in early 2017 for calendar year 2016. Employers sponsoring certain self-insured plans that use a third-party administrator in connection with claims processing, claims adjudication, and enrollment functions (“contributing entities”) must submit their 2016 Annual Enrollment and Contributions Submission Form and schedule a payment for the 2016 benefit year no later than November 15. 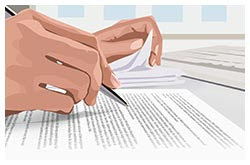 To successfully complete the reinsurance contribution process, contributing entities (or third-party administrators or administrative services-only contractors on their behalf) must register on Pay.gov (or confirm a password if such entities registered for the previous benefit years of the program) and submit their annual enrollment counts of the number of covered lives of reinsurance contribution enrollees for the 2016 benefit year using the 2016 form. In two separate payments for the 2016 benefit year, with the first remittance due by January 17, 2017 reflecting $21.60 per covered life, and the second remittance due by November 15, 2017reflecting $5.40 per covered life. Our Transitional Reinsurance Program section features additional information on the reinsurance contribution process. HSAs: The annual limitation on deductions for an individual with self-only coverage under a high deductible health plan (HDHP) is $3,400 (up from $3,350 for 2016). The annual limitation on HSA deductions for an individual with family coverage under an HDHP is $6,750 (unchanged from 2016). For 2017, an HDHP is defined as a health plan with an annual deductible that is not less than $1,300 for self-only coverage or $2,600 for family coverage(unchanged from 2016), and annual out-of-pocket expenses (deductibles, co-payments, and other amounts, but not premiums) that do not exceed $6,550 for self-only coverage or $13,100 for family coverage (unchanged from 2016).